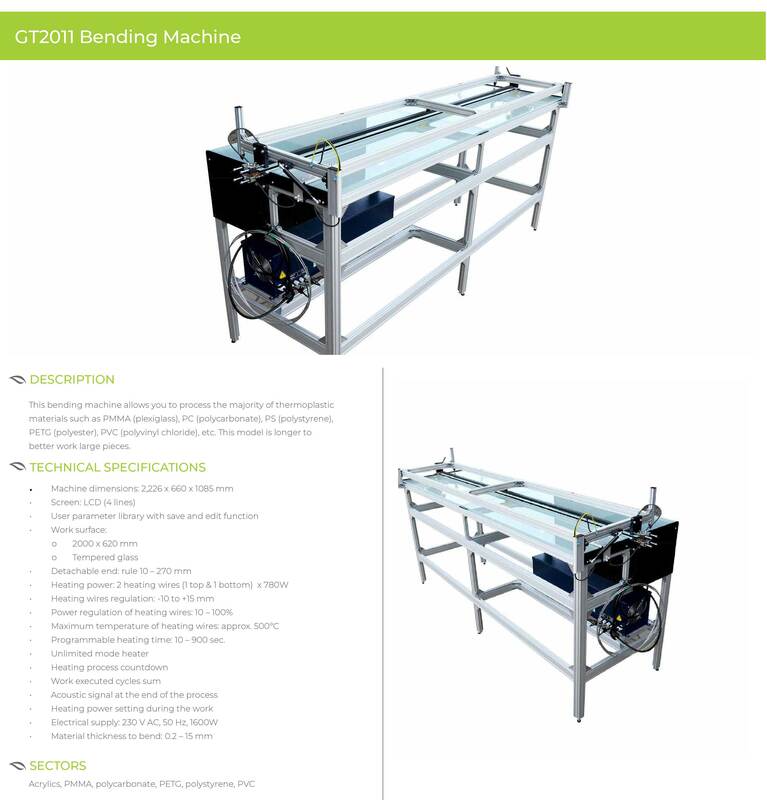 This machine is ideal for bending most thermoplastic materials such as PMMA (acrylic), PC (polycarbonate), PS (polystyrene), PETG (polyester), PVC (polyvinyl chloride), etc. 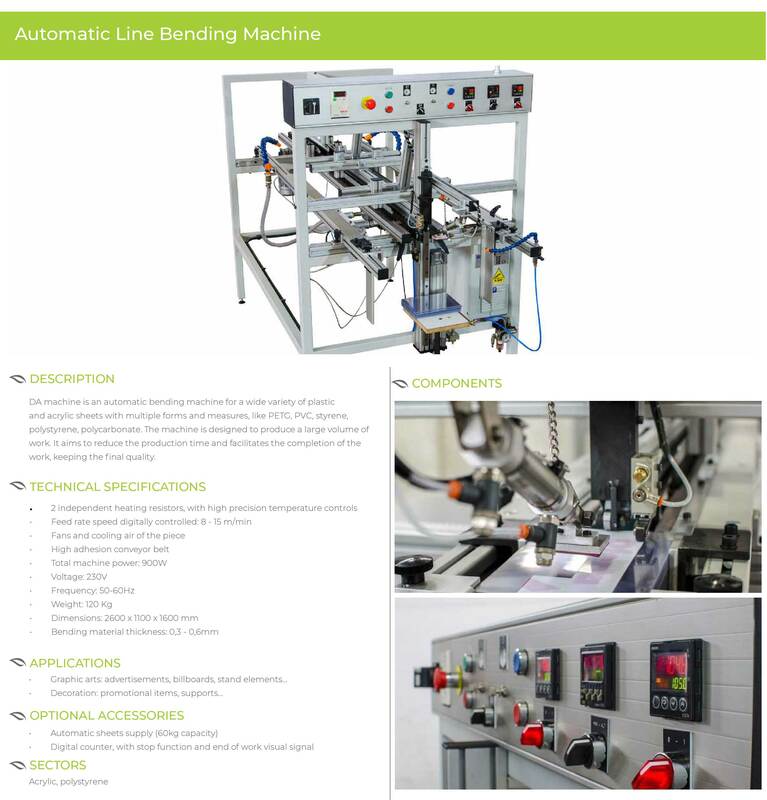 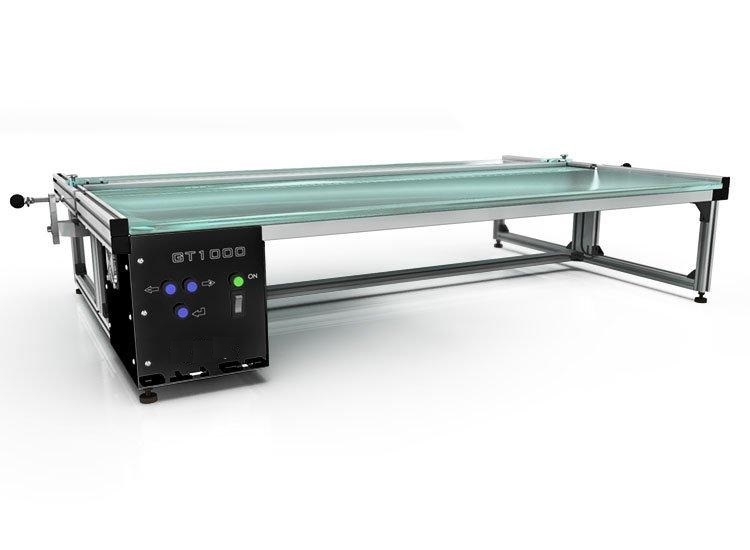 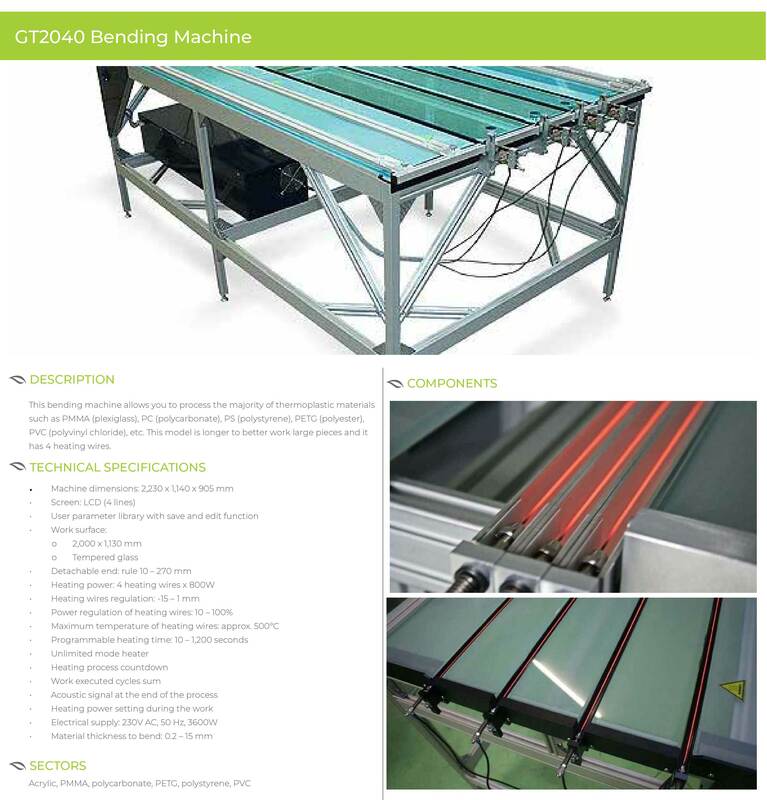 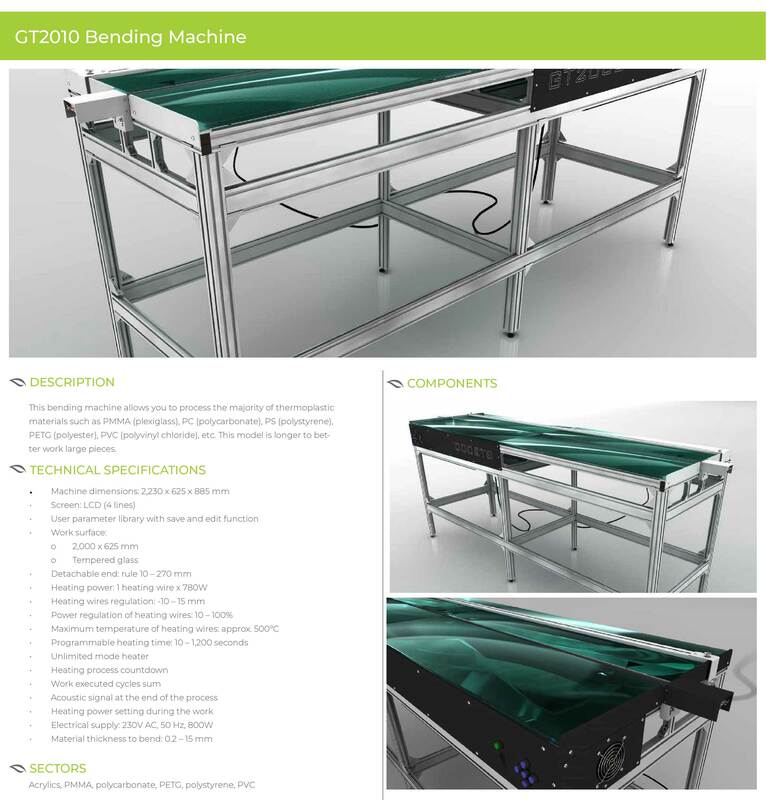 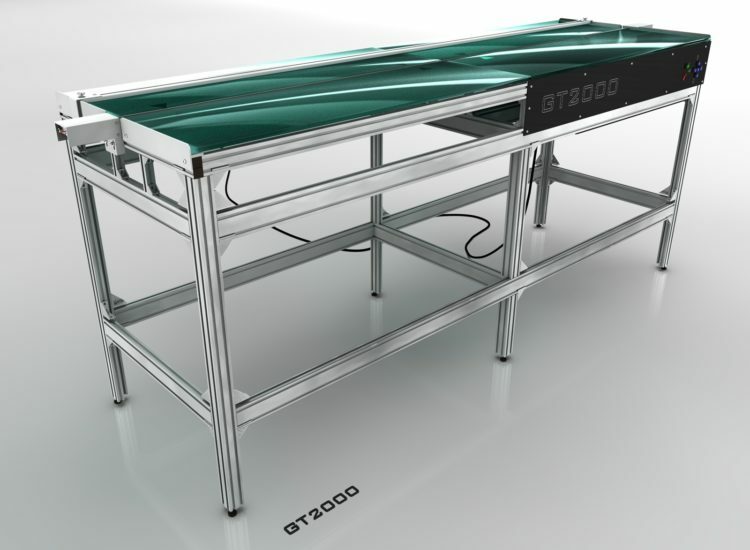 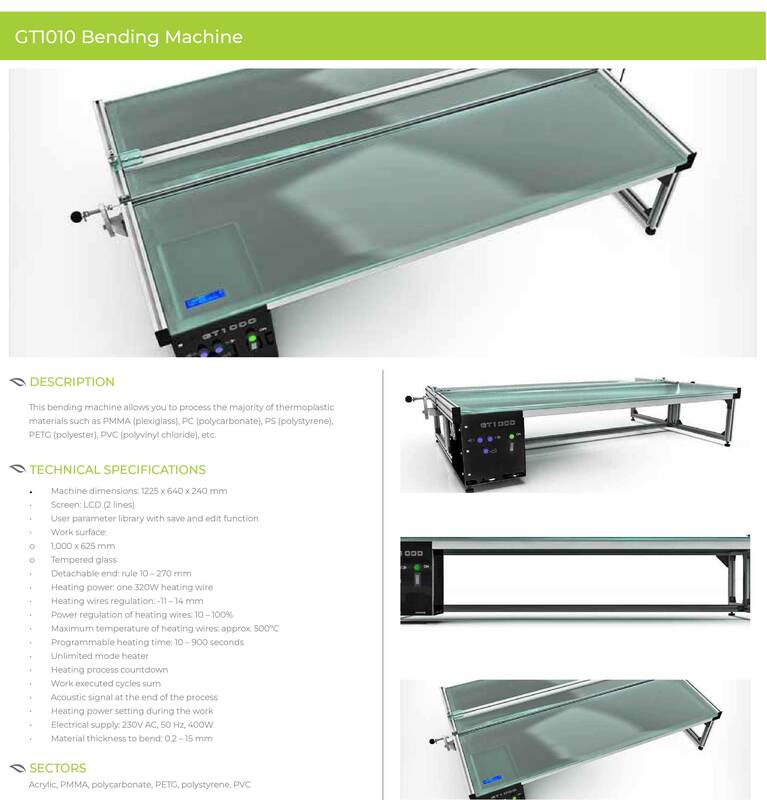 This bending machine allows you to process the majority of thermoplastic materials such as PMMA (plexiglass), PC (polycarbonate), PS (polystyrene), PETG (polyester), PVC (polyvinyl chloride), etc. 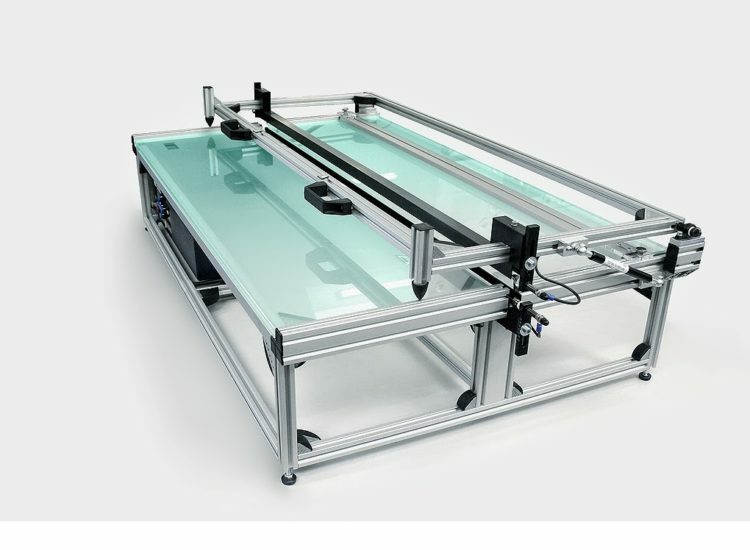 This model is longer to better work large pieces. 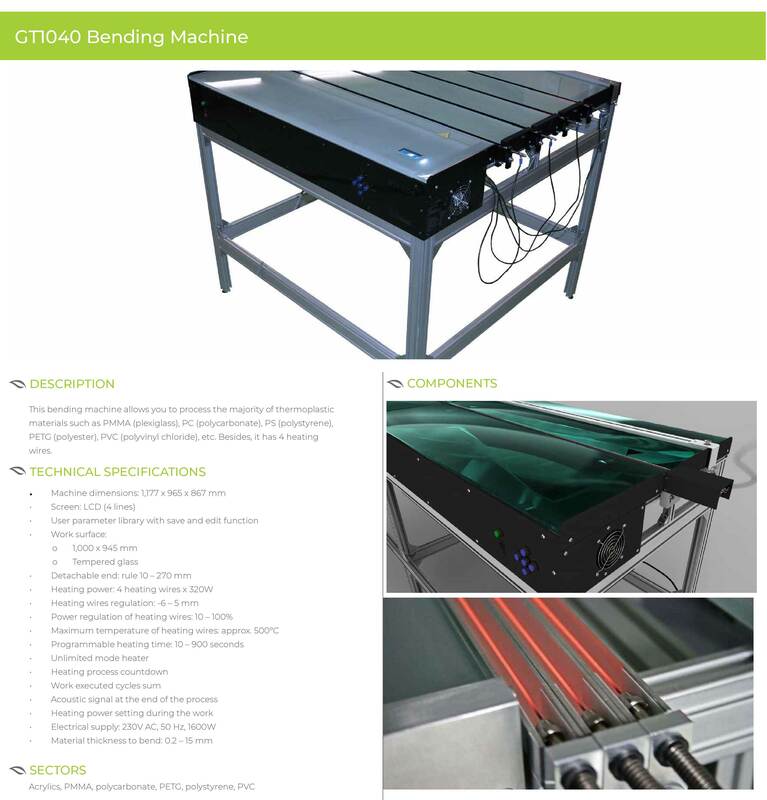 This bending machine allows you to process the majority of thermoplastic materials such as PMMA (plexiglass), PC (polycarbonate), PS (polystyrene), PETG (polyester), PVC (polyvinyl chloride), etc. 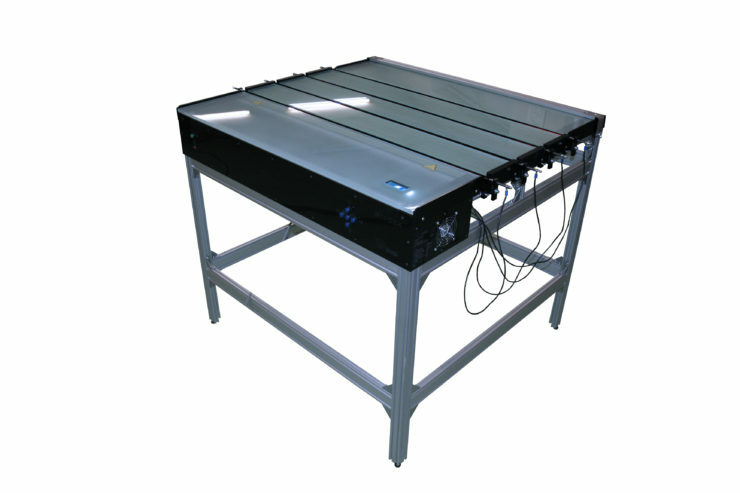 This model is longer to better work large pieces and it has 4 top and 4 bottom heating wires. 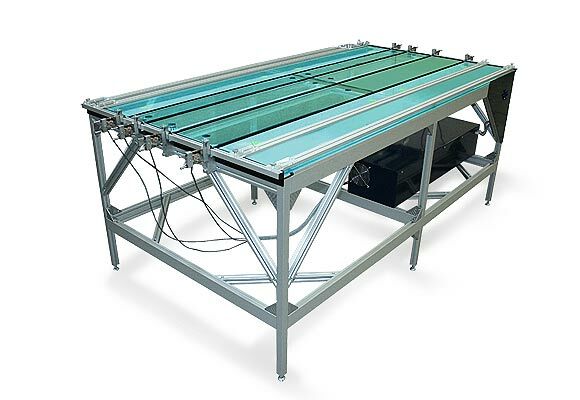 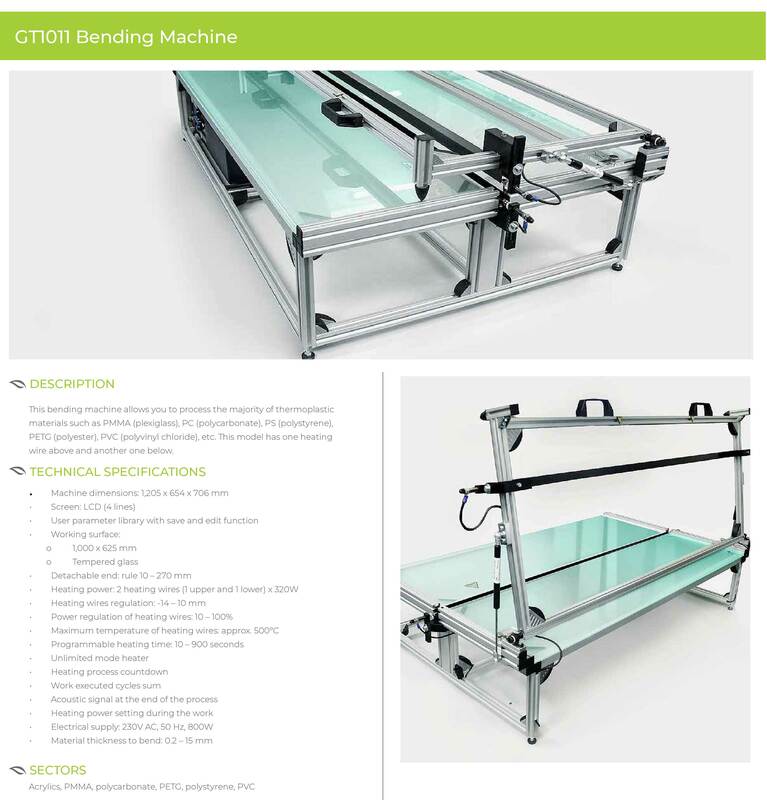 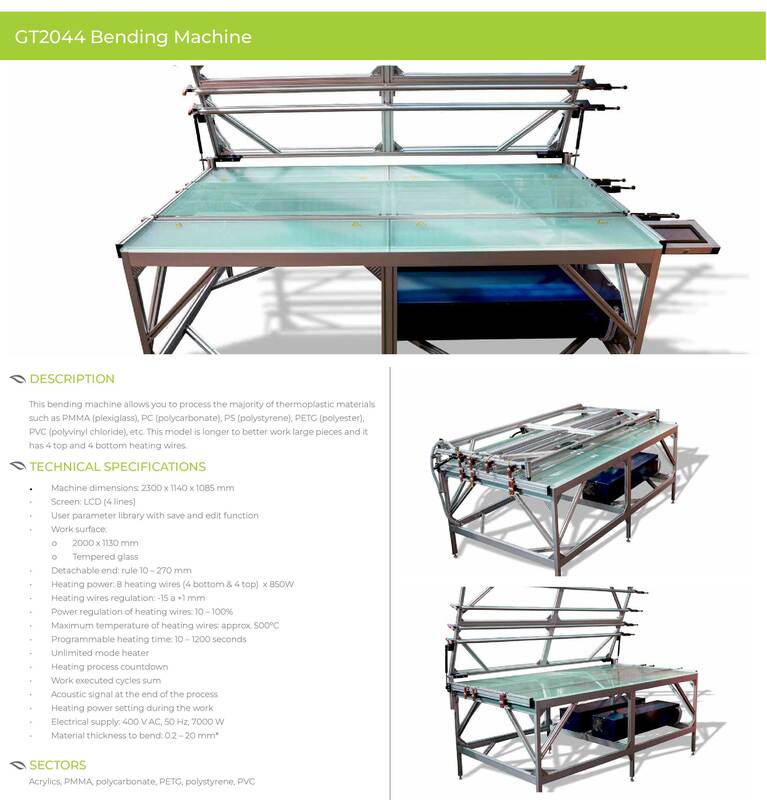 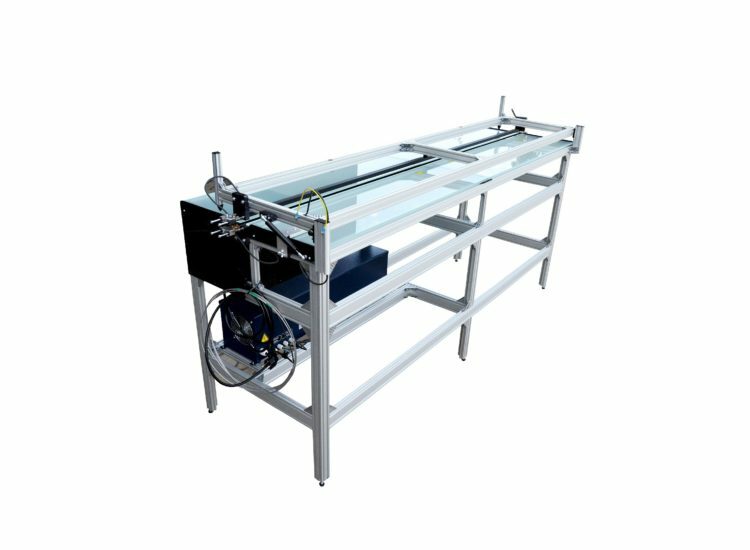 DA machine is an automatic bending machine for a wide variety of plastic and acrylic sheets with multiple forms and measures, like PETG, PVC, styrene, polystyrene, polycarbonate. 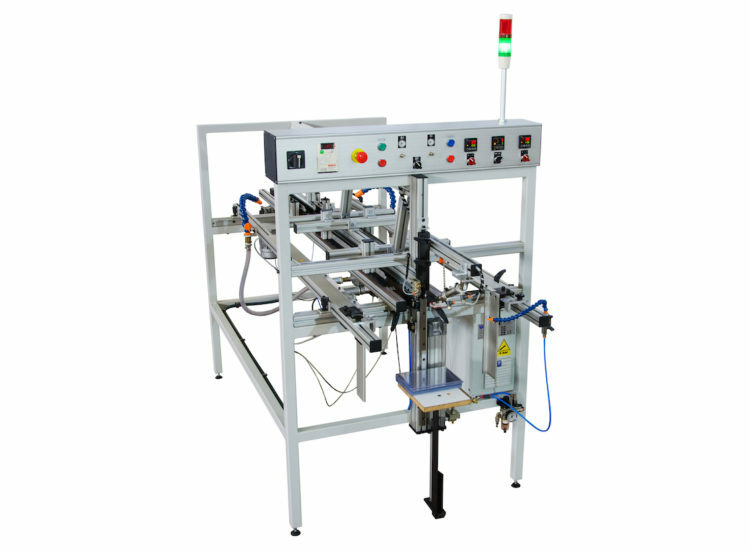 The machine is designed to produce a large volume of work. 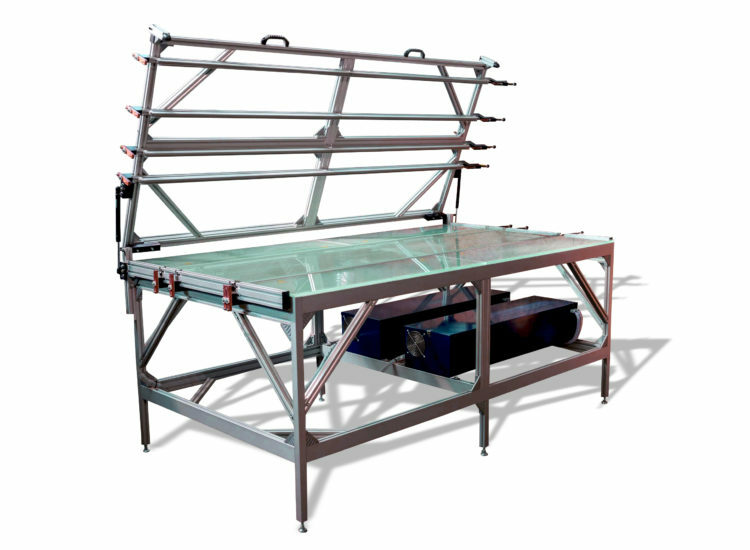 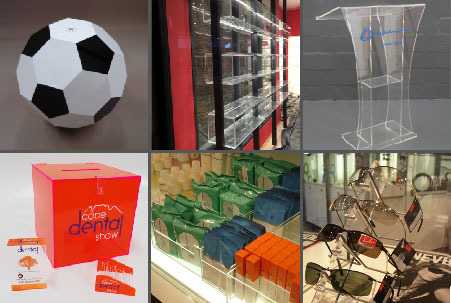 It aims to reduce the production time and facilitates the completion of the work, keeping the final quality.